Now go to the status bar(Hit F6) remove everything and paste the code written in bottom of the article. Hit enter, You are redirected to your local google once again, Select the “Go to Google.com” there. Now enjoy the new Google search. For removing it look for the cookie named PREF in google.com starting with “ID=20b6e4c2f44943bb” and delete it. Web analytics is the measurement of the visits to a website to track website performance. Its also the process of collection, measurement and analysis of user activity on a website to understand and help achieve the intended objective of the website. So it is a tool that collects data on web site users behavior. For Web Analytics you just need to Sign Up for a Web Analytics program and then add the essential code given by the Program to your site. Or Install a couple of plugin’s if you are on WordPress. There are many of the programs available for analytics for Websites. I have included few which I like. For me its the best as it is owned by 800 pound gorilla of the internet market and the features it provides are very useful. All though it’s not highly advanced or high on features still it has everything which is required for analytics. One can add multiple sites here and most importantly its 100% Free. You just need to add the code to your website for its functioning(Or a plugin if you are on WordPress). Google Analytics can track visitors from all referrers, including search engines, display advertising, pay-per-click networks, email marketing and digital collateral such as links within PDF documents. You may integrate it with Your Adwords account too. It has all the features of Google Analytics plus many more like giving a Mobile version of your dashboard, Viewing the history for an individual page, Visitor segmentation, Twitter Analytics etc. It’s hugely accpeted. But the drawback is its not Free. Though it has a Free version too but using GA will be the better option then. Its like Google Analytics providing an incredible depth of information. Installing this stats plugin is easy, all you need is to put in your API Key. When running it’ll begin collecting information about your pageviews, popular posts and pages, traffic source, etc. It’ll also add a link to your dashboard. And because all of the processing and collection runs on there servers. it doesn’t cause any additional load on our hosting account. Google default is to search for pages that include all of your search keywords . Google excludes common words (a.k.a stop words) like “the” , “He” etc. Google isn’t case sensitive, That is searching for wordpress is the same as WordPress. But Search operators are case sensitive, That is searching for wordpress OR joomla uses OR as the Google search operator, while wordpress or joomla doesn’t. Some operators may be combined, and some must be used alone. It is used to include all of the words given by you in search results, Remember to put the query within the “ ” . I use it to check copy and paste content. Allows to search also for synonyms of the given keyword. 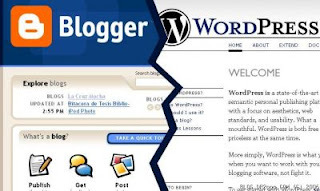 like searching for wordpress ~tips finds also pages with the word help or guide etc. Means every word to include(It’s a wildcard character) . Like: “2+10-5%2” = 11, Google calculates in the manner which is done in programming languages. sqrt,nth root ofx, sin, cos, arctan, tan…, ln, log, ! Numbers can be entered in hexadecimal, octal and binary base. PS: There are many more things which you can do it Google but I have included which are useful. Yeah !, We can create infinite number of Email Aliases in Gmail by adding a plus sign in front of our Gmail address like [email protected] is same as [email protected] Gmail doesn’t considers the characters after the PLUS sign[+] in an email address but the gmail search filter can distinguish between the different address and we can therefore apply different labels. 2. Gmail doesn’t considers Dot’s(.) in an Email address. Gmail doesn’t recognizes dots or periods in an email addresses or user names. That is an address like [email protected] is same as [email protected] or [email protected] Also an email sent to [email protected](Mistaken Address) will be received by [email protected](Real Address). This post will have it’s sequel when I will find more about Gmail. What if your digital camera is full of Pictures and you want to share with friends and relatives, Of course you wont mail them. You will probably like upload it somewhere and share. There are 2 major 800 pound gorillas for photos sharing in Web. Yahoo’s Flickr and Picasa Web Albums by Google. Flickr is a well known in the photo sharing market and is owned by Yahoo. It has a good interface, it’s polished, works well, and is indeed addictive. But Flickr has some limitations Flickr offers 100 MB of free storage each calendar month but the storage counter is reset every month so you get virtually unlimited space on Flickr without spending a penny. (100 MB is good for storing upto 120 picture of average size). New pictures can be uploaded to Flickr via mobile phones, desktop software, email attachments or through the web-based interface available on Flickr website. Pictures can then be grouped in sets (like “Conference in New York”) as well as tags (like “conference”). You can upgrade to Pro for making the number of photos unlimited for each month but even after you upgrade to Pro, you’ll bump up against more limitations if your JPG files are over 10MB each, which happens quite often when you shoot with a late-model DSLR and upload at full resolution with the intention of printing that photo in a large size. Use Flickr if you want to engage actively within the big and friendly Flickr user community, get comments on your photos, join groups and submit photos to them — in short, partake fully of the social community of photo sharing. This is the photo sharing client owned by Web Giant Google, This was made to enable Google Image Organization Software Picasa user’s to share there photos online. One can create private and public albums there and order prints. This is the best option for Photo sharing for a regular person but the storage is limited(Disadvantage over Flickr) it has a 1 GB storage and then Paid storage of 7Gb for $25 a year, You can come over this just by resizing the images rather than uploading the full High Resolution Pics. The default option is to resize only, so that’ll get done automatically. Once you’ve done tell your friends and its done. For describing the photo, both services let you edit tags and a caption for the image, with Flickr also letting you give each photo a title. Both have a mapping feature letting you set a location for the photo on an interactive map. For the technical data relating to the photo, both services will read and display the EXIF data from a digital camera such as shutter speed, date/time etc. And for viewing a bunch of images, both have a slideshow feature built in. Finally, both services let you specify a name to make a more user friendly URL to give to your friends or family. Transferring Photos: In Flickr the picture upload thing is very easy but downloading photos from there is difficult, for this you may need to have a 3rd part Flickr App where as in Google’s Picasa Web Albums it comes with an application Picasa. Through Picasa, you can do basic image editing (like crop, rotate, color adjustments, etc) and then upload the edited pictures online. The software can also download photos from the online Picasa albums to your hard-drive without any effort. Organization: Picasa lets you create as many “albums” as you like to sort your photos into. Flickr lets you have just 3 “sets” to group your photos in, otherwise they all get added to a single “photostream”. For unlimited sets at Flickr you’ll have to go pro. Storage: Picasa gives you 1GB of storage with the option to buy more (7GB for US$25 per year – shared storage with your Gmail account). Flickr doesn’t state a storage limit, instead they have an upload limit of 100MB per month and limit your “photostream” to the 200 most recent images. The “pro” option at Flickr which will give you unlimited uploads, storage, bandwidth and more. 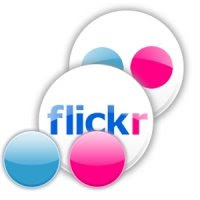 Cost: Both Flickr and Picasa offer a free service initially, but with limitations on the service at Flickr And a word of warning here, Flickr’s FAQ states “if your free account is inactive for 90 consecutive days, it will be deleted”. Picasa is better here. You can upgrade to Flickr Pro for $25 and upgarde you 1GB to 7GB in Picasa for $25 a year. Google is the best and the most popular Search Engine at net, Even though Google.com is ranked 2nd in traffic terms but its superior Indexing provides with a Search result which is worth. Google helps everyone to find a useful resource, When Google Inc(By the name Backrub search) started in 1998 it main aim was to give all information to everyone available on the net and it was soon succeeded in it. But sometimes it may give rubbish if the thing(Site) you are looking is not a popular one as It goes on for a site depending upon its Page Rank. Google helps everyone, Google Indexing also gives and many more illegal things like hacking(This is not an advantage). It generates its income from mainly Google Adsense and its e-mail services. At the date Google Adsense is the best and highest paying Ads program. But company main focus is on Search Engine. Google was founded by Larry Page and Sergey Brin while they were students at Stanford University. It helps to search me anything I need that is anything which I require to work upon with like using Google for my Holiday Homework, Things l need to learn for writing and many more stuff. Its a wholesome web directory. Facebook is the social networking which is currently receiving the most Traffic Rank as compared to any other social networking site. It has a Good User interface and GUI and a User Functionality. Earlier I was pro-Orkut types, But now I am a typical Facebook user. Facebook has started in 4 February 2004(Very Young), as for connecting people within Harvard University, But it grew like anything and I is now accepting people of Age over 13. Overall Facebook is the best Social Networking Site I found on the Web 2.0. Many of my friends are there In facebook so it helps a great extent in interaction(Chatting,Pics Sharing and stuff) and the great good feature is that it has a ‘Status Message’ thing and inbuilt Chatting and a various number of applications(But some are really useful [Like Twitter]). I have added a Twitter Applications in My facebook account whic automaticly changes the Status message of Facbook to that which is in Twitter. Twitter is a micro blogging service started in 2006. Through Twitter people communicate to outer world and express their concerns. Twitter is a free social networking site, Thus generating no Revenue. People regularly update their twitter accounts by giving new status message which is also know as Tweets. The Updates are shown in the User Profile and displayed to those who are following that User. Twitter had by one measure over 3 million accounts and by another, well over 5 million visitors in September 2008 which was a fivefold increase in a month. I use twitter for sharing my Status updates , Some times giving the links of my new post’s and The good thing is in facebook by adding a Twitter application we are automatically able to convert a Tweet into a Facebook status message.Like- During Exams I use it to tell my people which is the next Exam going to have and how was my last exam. Twitter Rocks ! There are also some 3rd Party Apps available for twitting.